As Clipper Race crew adjust back to life on land, the memories and achievements of the past eleven months are far from forgotten. Over the next two weeks we will be posting daily recaps and highlights for each of our twelve teams, kicking off today with PSP Logistics. ‘The Happy Boat’ is what PSP Logistics became known as throughout the Clipper 2015-16 Race with the crew’s smiling faces, positive energy and entertaining blogs making them one of the most popular teams in the fleet. This was epitomised at the Race 13 Prize giving ceremony in Den Helder, when after 40,000 nautical miles of racing Skipper Max Stunell and his crew stepped on to the podium for the first time to be awarded second place. As the team’s name was announced, crew mates from other boats surrounding PSP Logistics formed a guard of honour for their fellow competitors to make their way to the stage. “There was an enormous cheer, the loudest so far at a Prize giving and before our eyes, crew members from Derry~Londonderry~Doire created an arch for us to go through on our way to the stage. They were quickly joined by LMAX Exchange crew members and various other crew. This sentiment was just so special it brought tears to my eyes,” wrote PSP Logistics circumnavigator Nicola Edwards in her subsequent crew diary. The team spirit was particularly evident among the PSP Logistics crew and supporters when the nomination window opened for the Stormhoek Social Spirit Award in Race 10. ClipperTelemed+ had picked up its first podium of the series and the nominations poured in as result, but PSP Logistics’ turtle rescue en route to Panama stole the hearts of all race followers and the team celebrated its first pennant in New York. 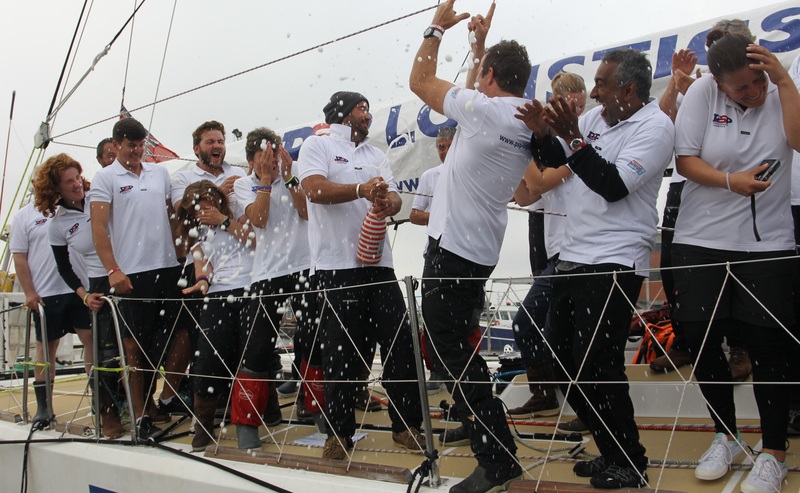 The team finished twelfth in the overall race standings but for Skipper Max Stunell the emphasis was on crew enjoyment rather than winning. “We had a good core crew who just got on with it. We weren’t the most competitive boat but we all had a great time and everyone is very happy. Seeing as the crew all saved up for years to do this, it was important to me that they had a good experience and will celebrate their achievements for a long time to come. The meal plan and menus on board PSP Logistics became a feature of Max’s daily Skipper reports, much to the amusement of race followers and other teams, as he fluctuated between boasting and being aghast depending on the quantities of custard on board. Having crew member Paul Wrightson for Legs 4 and 8, a professional chef who had previously worked on Masterchef in Australia, made PSP Logistics the envy of the fleet as Max claimed to have had some of the best steaks of his life on board. On Leg 7 the team was treated to daily massages by professional sports masseuse Janey England, whose previous clients have included David Beckham. With good food and good times taking priority over racing form, the team spirit on board PSP Logistics was also displayed through their fundraising initiatives for the Official Race Charity Unicef. Crew members began making and selling paracord bracelets in every teams’ colours with a branded buckle as a momento of the challenge they have all shared. Later in the race they also started selling prints of each yacht entry with the names of all crew members listed as a keepsake. Congratulations to all of our PSP Logistics crew and thank you for the blogs, the images, the videos, the stories, the turtle rescue and all the good times shared throughout the Clipper 2015-16 Race. We salute you Anupma Aggarwal, Lewis Allen, Brett Arthur, Sue Ball, Jason Berta, Fiona Bond, Richard Boykett, Dermot Breen, Martin Brown, Kevin Chappell, Abigail Cooper, Linda Crocker, Alan Curry, Cameron Dare, Terry Dixon, Howard Dryden, Nicola Edwards, Uwe Feig, Lesley Jane Ferriday, Craig Fleming, Ian Gillespie, Colin Hammond, Eileen Harrison, Patrick Hayes, Carolin Held, Dave Jackson, Rhiannon James, Dirk Karge, Pawel Kepa, Grace Kitching, Norbert Klüner, Maeve Liffey, Evgeniya Linkova, Alan Manson, Conor McCoole, Dawn Menzies, Denise Moore, Fred Motka, John Pridham, Nicola Prince, Martin Ronaldson, Sarita Sayre, Pierluigi Scazzeri, Henrik Schönfeld, George Stephanos, Vicky Strautmann Scott, Hugh Sturges, Damien Sweeney, Moussa Tawil, Tanja Thumm, Caroline Turner, Alan Whitehead, Richard Whitlock, Sean Wilson, Paul Wrightson and Skipper Max Stunell. 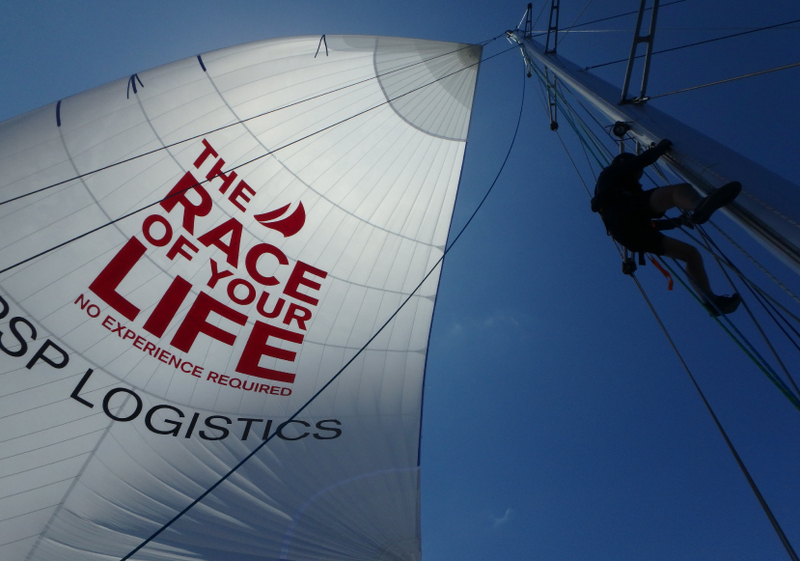 PSP Logistics is a second time Team Sponsor in the Clipper Race and also the Official Logistics Partner for the fourth consecutive race. Want to relive the team's experience? 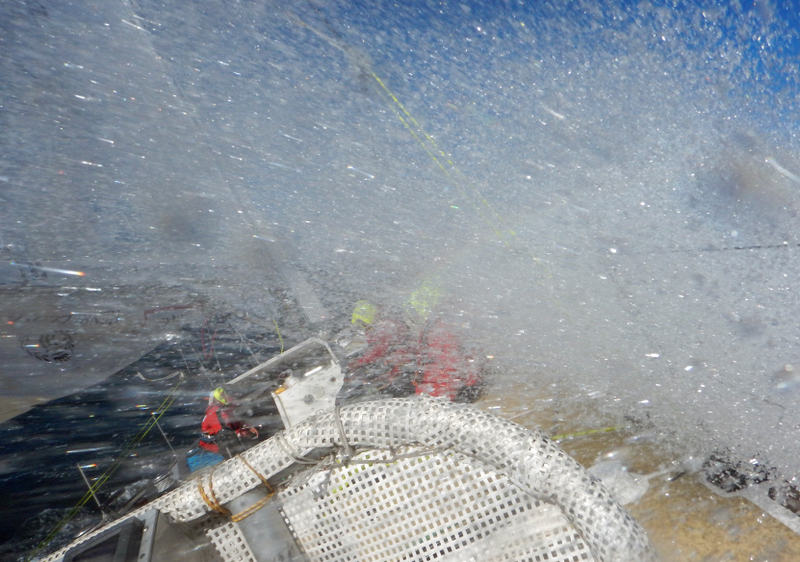 Click here to read back through the crew diaries.